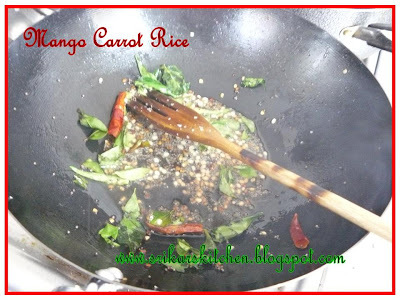 Heat oil in a pan, temper with mustard seed,urad dhal,red chillies & curry leaves. 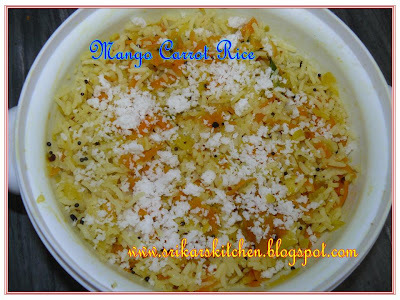 Sweat the grated mango & grated carrot until half done. check seasoning . 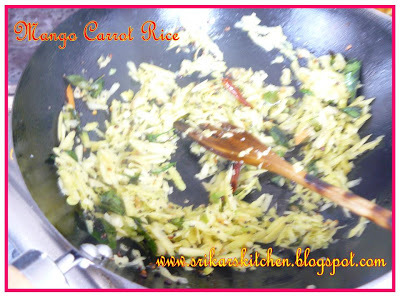 Add in the boiled rice & Mix well. 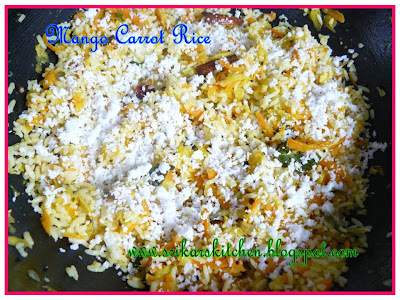 Finish by adding grated coconut & serve hot. Perfect for lunch boxes..loks easy n healthy to..
That looks nice and healthy! Now the hunt for mangoes begin. This sounds to be healthy. Looks so good. Nice recipe...YUM! You had me at raw mango! I love it in the atchar( mango pickle)as well. I added a dry chili mango to my shrimp curry. Now I shall have to try your recipe as well because I can never have too many mango dishes Thank you! I love the sourness of a raw mango. Guess this rice will be a hit with me! Yummy Sri..love ur collections of lunch box menus..wat a amazing combination..u r tempting me a lot..sure will give a try..
Rare combination..looks nice and healthy! What a pretty combination. Now I have to look for raw mangoes! I love cooking with fruit and the combination sounds great. Wow experimenting with combo flavours. 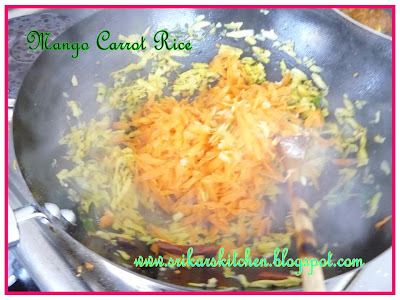 The taste of mango and carrot hmm will try this soon. Looks awesome. Wow you are in a special rice mood. This looks easy enough and nice too. 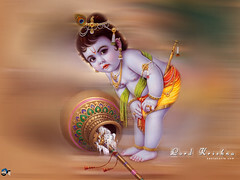 Lovely filling food...will definitely try if I can get mangoes.